There are very few places you can still smoke in New York and New Jersey, and one of my favorites is JR Cigars in Whippany, New Jersey. I’ve been going there for nearly 20 years that I can recall. It was a great place to meet friend or clients, have a bite and have a great smoke. The store is attached to the bar and lounge where they serve food and drink. For those who don’t wish to be waited on, you can smoke at a table in the cigar store, or out in front there is another TV room where people are reading and relaxing. There is a section for every type of cigar smoker. 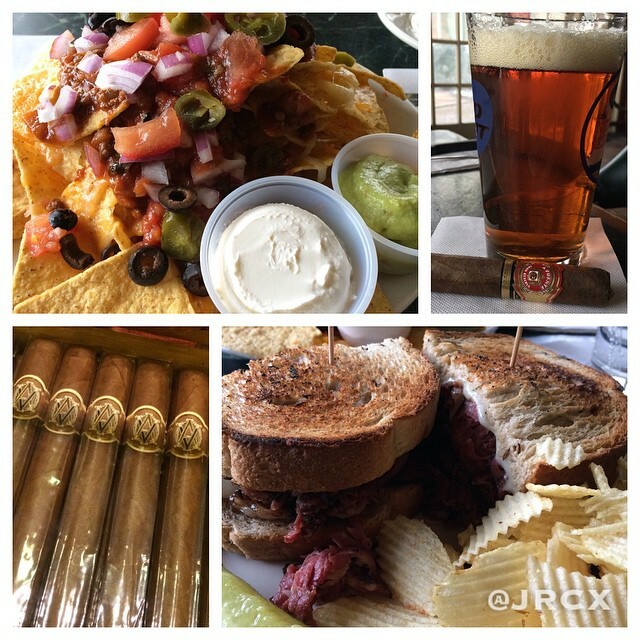 What I love best is the being able to have lunch at a very reasonable price and a cigar afterward. Every item on the menu is $10 and comes with a free cigar. 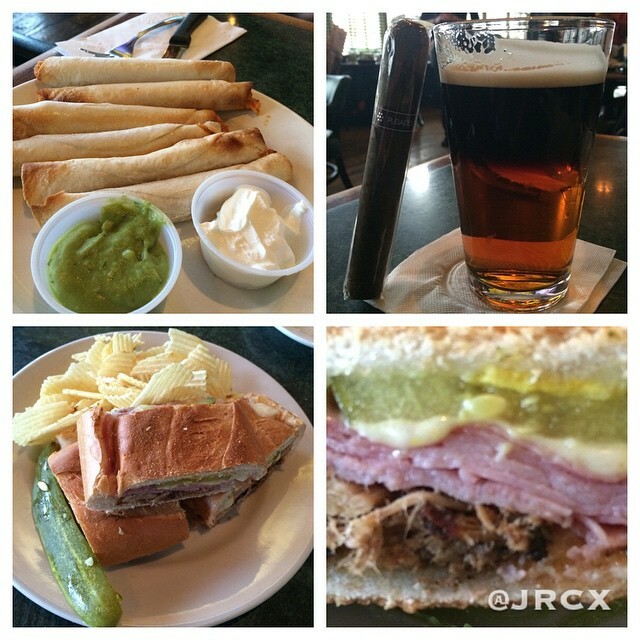 I don’t know where else you can get a premium cigar and lunch for $10, if you know of one, let me know. Usually me and a friend go, get an appetizer and split a pizza or a sandwich, so we get 2 free cigars. Its a bonus at that point because we usually go into the store first to buy a variety of cigars, the feature here is you buy 5 and you get one free. So you get your 6th cigar free and you get another free one with lunch. What do they offer for lunch? Their sandwiches modestly feed two moderate eaters. However, the pizza will feed two or more, and the nachos will easily feed 3, maybe four. While you can’t expect the moon and stars from their food, I have to tell you, the food here, for what it is, and what it costs is far better than places that “specialize” in these types of food fare. What is great about this place is that its the ultimate mancave if you don’t have one in your own home. Today was probably the coldest day on record in over 20 years in this area. No wonder on a Friday this place was packed. All these smokers trying to enjoy a Friday afternoon and everyone had the same idea to come in from the frigid temperature and icy harsh winds just to have a bit, a drink and a smoke.